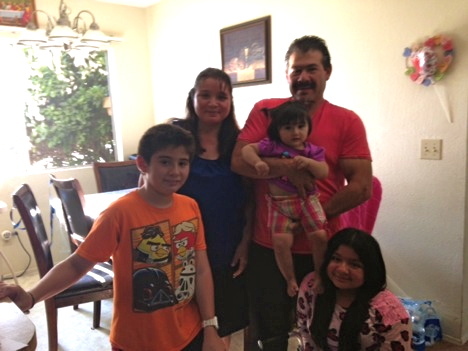 The Mendez family has lived in their current apartment for the past three years. It is an extremely small two-bedroom apartment in which Fabiola and her brother, Pedro, share a bedroom. As they grow older, each child is in desperate need of more private space. Fabiola has rare “brittle bone” disease and is confined to a wheelchair for her safety. The cramped space of the apartment and the tiny bedroom she shares with her brother don’t allow her to move about in a safe way and can cause a major injury that would take weeks to recover from. Despite the need for repairs to their apartment, the community manager remains unresponsive. There is also crime and drug use going on at neighbor’s homes. Pedro’s expensive tools, required for his job, have been stolen in the past, leaving the Mendez family concerned about the health and safety of their children. The family yearns to live in a safer, healthier, more secure neighborhood, and is looking forward to purchasing their Habitat home. In addition to Pedro and Patricia’s traditional sweat equity hours, the children are proud to contribute by continuing to get good grades! Welcome to the Habitat Family, Mendezes!